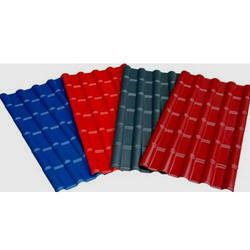 Offering you a complete choice of products which include durotuff spanish style roof tile. We are offering Durotuff Spanish Style Roof Tile to our clients. The Spanish Style ASA-UPVC roof Tile offers and ideal roofing material solution when you are planning to reconstruct your flat roof into pitched roof. Also it is a kind of commonly used building material for sheds, carports, stadiums, villas, holiday villages, mobile homes, prefabricated houses, garden pavilion, as well as many other types of residential and commercial building.